Care to be Different > Articles > NHS Continuing Healthcare > Can CCGs overturn NHS Continuing Healthcare eligibility? 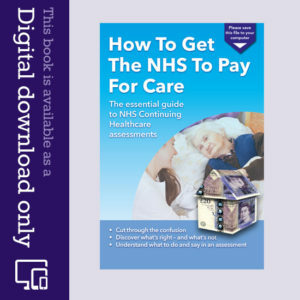 Let’s assume your relative has got through an assessment for NHS Continuing Healthcare. The assessors recommend funding. Great news. Then you receive a letter in the post from the local CCG saying funding has been refused. Can CCGs overturn NHS Continuing Healthcare eligibility recommendations? Reading that your relative’s NHS Continuing Healthcare funding has been declined can be bewildering, frustrating and downright maddening, especially when you know the original Continuing Healthcare recommendation of eligibility was correct. If you don’t know any different, you may take the outcome at face value and assume the letter is right. But be careful. Look carefully at who has actually made this decision. NHS Continuing Healthcare is NHS funding for full time care and it covers all care fees. A full assessment for NHS Continuing Healthcare funding involves a multi-disciplinary team, and the lead assessor will make a recommendation about eligibility. This recommendation is then put to a CCG panel, who make the final decision. This also happens in retrospective claims for care fees previously wrongly charged. Can CCGs overturn NHS Continuing Healthcare eligibility recommendations? The National Framework for NHS Continuing Healthcare – the formal guidelines for Continuing Healthcare assessments – sets out in black and white that CCG panels can only overturn an eligibility recommendation in exceptional circumstances. There are clear guidelines to this effect – and about what should happen next. Needless to say, a CCG panel cannot arbitrarily throw out a recommendation of eligibility without following these rules and without being able to justify their actions. Predictably, reports from families show that this is exactly what some CCG panels try to do. If this happens to you, be sure to read the guidelines. The blog http://chcfunding.wordpress.com contains a useful page of information about what the guidelines actually say in this respect. It will help you appeal, should you need to. My daughter is almost 24 now and has deteriorated rapidly since the onset of a condition akin to Parkinson’s from when she was eleven. 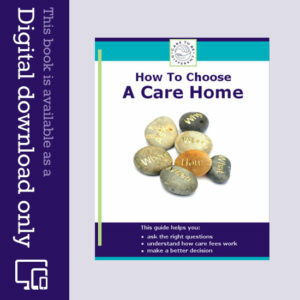 In 2008 the Panel Decision was unambiguous, quote… “Panel discussed all care domains and agreed unanimously that Helen meets the criteria for NHS Continuing Health Care due to the complexity and intensity of her care needs and her deteriorating condition.” Since then her condition has indeed deteriorated a lot. A few months later the acquiescence of the social services representative was explained… they had mistakenly believed another county would be responsible for the funding. The other county were given a deadline of less than two months before the NHS would cease their funding to allocate for my daughter. The current situation is that the second county are correctly denying that they have ever had any responsibility for my daughter. The CCG are trying to deflect attention from their ‘dodgy assessment’ by claiming the outcome of an earlier assessment in 2010 (but kept secret until now) had rendered Helen ineligible for NHS CHC way back then… and what of the first county social services? Despite their enthusiasm in the assessment meeting they have been in hiding and refused all communication for the last year since they realised they had unwittingly accepted responsibility for Helen’s funding for themselves! The only correspondence comes from the CCG and although their plausible statements serve their purpose to deflect criticism from themselves they bear scant resemblance to the facts. Every time I send them written proof that they have not told the truth they ignore my request for an explanation and suggest a ‘meeting’ instead. A ‘meeting’ is OK by me, but only if we have to give our evidence under oath and are subject to the usual penalties for perjury! Check out ‘NHS England’ and ‘Monitor’… no effort has been spared creating logos, mission statements and layers of on-message jargonese (sorry for that one!) but where amongst this lot… http://www.monitor.gov.uk/regulating-health-care-providers-commissioners can you complain about the CCGs and hold them to account? Except for your loved one’s circumstances, DITTO. I too have recently experienced a very cosy relationship between organisations and was even warned by the L.A assessor that the NHS Nurse would need to leave in less than 2 hours so that she could collect her children, so would I please not try to muddy the waters with precedent from the past 6 years so that she could get away on time. It seems that she had been reading my complaints to her bosses that case law requires precedent to be included in decision making processes or in the words of a Judge, “only random outcomes could occur. Not to mention that it is impossible to review a patient that is already in receipt of funding without knowing what their previous condition was. Otherwise it is always an assessment as if it were the first time and that is also a breach of the rules. Especially when the Framework insists that extra care and explanation is warranted when removing funding from a previously eligible patient. I consider (as does law), that it is prima facie evidence of misfeasance in a public office, to permit random outcomes in decision making. I forgot to mention that I discovered forgeries of my mother’s first Decision Support Tool. 5 of the 11 domains were altered by a Panel, that is not permitted to alter the document. Framework says not to. Then it was sent to us in its forged form as if it was the evidence. As such it was the false basis for an appeal. So all correspondence from then on was based upon lies and it could be proved. Police are investigating due to the fact that it is forgery under the 1981 act. It is also evidence of fraud under the 2006 act. They carry criminal convictions if guilty. Under The Tort of Deceit one has the ability to sue without proving the matter of dishonesty. (Which would usually need a Police investigation). Any statement of fact or law that is recklessly made as to it’s truth from anyone in the process, that risks any kind of loss to another, by persuading them to act or not to act; is evidence of guilt under this Tort. Thank you for mentioning the Tort of Deceipt. It is useful to know some of the legal basis for holding a CCG to account if they attempt to falsify documentation, by for example, amending the domains within a DST or the recommendation of the MDT. The Court of Appeal has clarified that it does not accept that “intention to deceive” is a separate or free-standing element of the tort of deceit. The phrase “intention to deceive” is merely another way of describing the mental element of the tort. The case concerned an investment to develop a plot of land. It was argued that the investors had been induced to invest in the scheme whilst the true structure and price for the land was concealed from them. The claim was based on the tort of deceit. The Court of Appeal had been asked to reconsider the trial judge’s consideration of the ingredients of the tort of deceit. the person given the representation relies on it and in consequence suffers loss. The Court of Appeal clarified that the “intention to deceive” falls within ingredients 2 and 3 above and therefore is not free-standing. Hi Sheena, I lost this thread because I did not ask for updates to be sent…. hence late response. There is another good law to look at and it is criminal law. It is the 1981 forgery (etc.) Act. There appears to be regular alteration of DST’s by Panels. That is forgery… pure and simple. That is what the Cops are looking into. They have the Original Handwritten (then typed copied) DST’s created by the MDT and the forgery from the panel. They have the panel member’s names. They know that one of the panel nurses is not registered under the name she goes by. They know that she was a panel member then an assessor 3 months later (Then a panel member reviewing her own work), and then again 12 months later an assessor. Funny how after an independent review that overturned 2 assessments then, that the NHS spent money on an expensive audit that eventually stated they had done nothing wrong. My only recourse had we been beaten at the IRP was to go to the Ombudsman (as was theirs). Instead they chose to dispute by audit and denial of any need to change how they do things. They have since quoted the audit as their reasons for making the same errors. Hi Chris – very interesting that the police have got involved. I’d certainly be interested to hear more about that. Did you approach the police yourself or did they get involved another way? And were they open to investigating at first? I’m still pushing them. They are very slow but accept that there is enough evidence to investigate matters. Are you aware that many NHS authorities use their own “CHC Operations Manual” and will refuse to let anyone see it? I have a single page that wrongly describes how to resolve a dispute between MDT members regarding domain scores. It insists that escalation to senior managers is required so that they can make the decision regarding the final scores. Then when questioned, the CEO stated that the manual only dealt with how to use the computers and maintaining staffing rotas and the like. You gotta love someone prepared to boldly lie in a financial matter and b doing so confirm his acceptance of fraud by leading it from the front. Thanks for your comment, David. That’s such a distressing – an appalling situation – for you. Sounds as though there are some serious abuses and cover-ups going on there. You may need to send a strong letter from a solicitor. If you need any contacts, let me know. Regarding letters from a solicitor. I very recently spoke to a “specialist” solicitor who thought it better in the circumstances, that I contact and instruct a Barrister directly. Now all I need to do is find one with knowledge of the National Framework and Tort and Administrative Law. Any one know such a person?